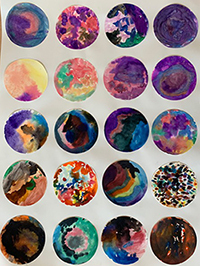 For the third year in a row, the young artists of John Muir School (kindergarten through third grade) will be exhibiting their work at San Francisco Zen Center’s City Center location. 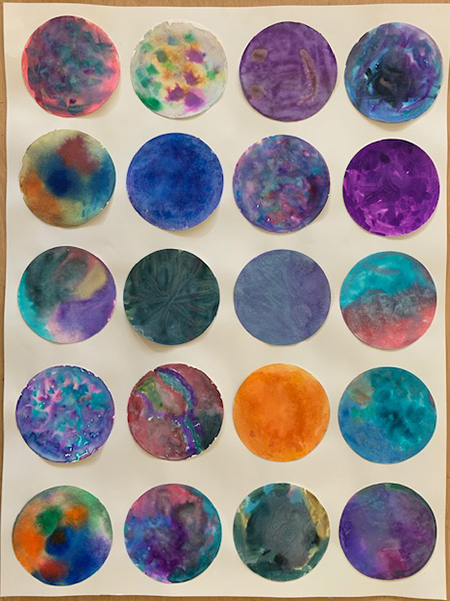 The work on display will be watercolor paintings created after practicing breathing exercises as well as using music as meditation while painting. While listening to music students painted emotional responses to the rhythm and lyrics. 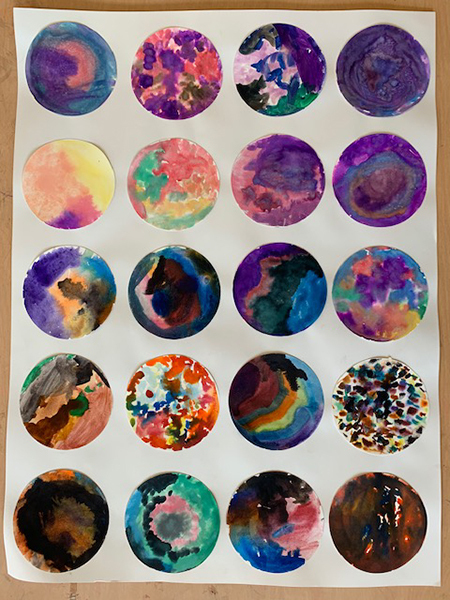 In the first series of watercolor paintings, students practiced their usual three deep breaths at the hit of the art basu bell before starting. 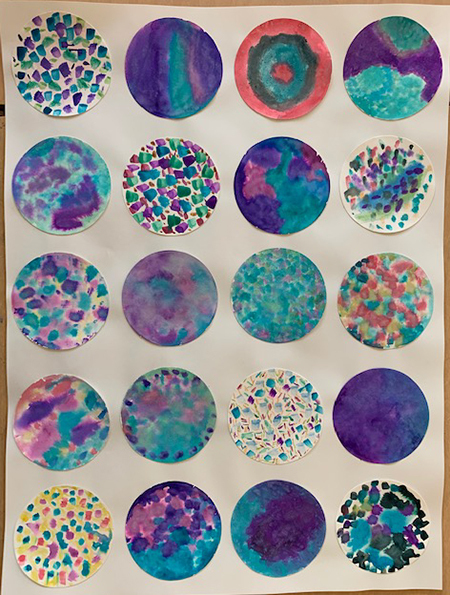 Students explored the bleeding technique by wetting the entire paper then letting colors bleed as the water moved the paint. Think of your favorite color and picture a giant balloon of that color in your mind. Take a slow, deep inhale through the nose, filling up your belly with air as if trying to blow up a giant [favorite color] balloon. As an option, you can also stretch your arms open and overhead to represent expansion and the big balloon. When your balloon is totally full, hold your breath at the top, and then you can “pop the balloon” (gesture finger to belly) and you can fall down as you exhale.